A horizontal semi-circular face with 2 edges: one from a straight line (simply connecting 2 vertices), another from a Geom_BSplineCurve. Both have the same vertices at their ends. 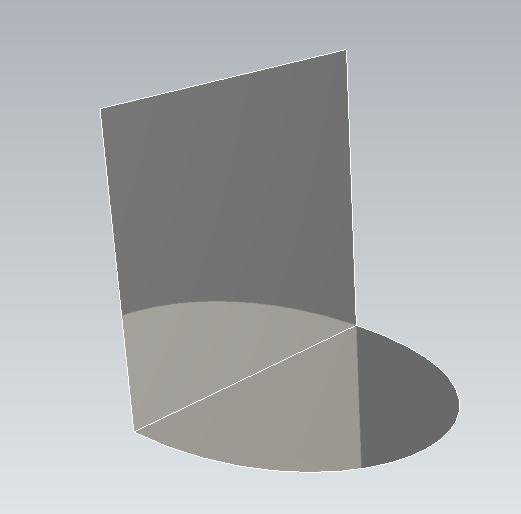 A rectangular vertical face. The bottom edge is the straight edge (hence shared) from the above face. I found that the resulting shell has both faces disjoint, and the vertices and edges are duplicated. Does anyone know why this happens, and how I can connect these faces correctly? The code can be found below. Otherwise the source code as well as a screenshot of the shell is attached. I use OCCT 7.2.0. Sorry, i just realised that I should be using BRepBuilderAPI_Sewing instead. The code below works as intended.